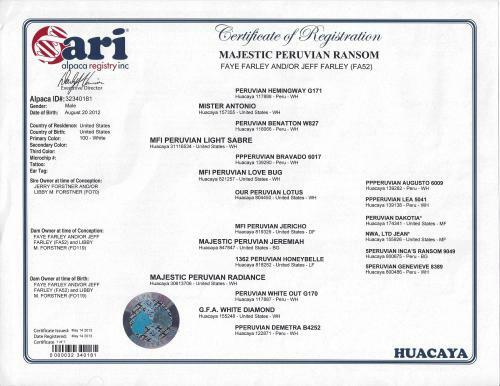 Majestic Peruvian Ransom is a stunning, multiple champion winning, full Peruvian white male sired by multiple champion and Judges' Choice winning MFI Peruvian Light Sabre. Ransom has the density, fineness and consistency of character throughout his fleece that makes for a great herdsire. His dam is Majestic Peruvian Radiance, multiple Herdsire of the Year winning Jeremiah daughter with exceptional density. If you're looking to add fineness with exceptional density to your female(s), Ransom is the male for you. 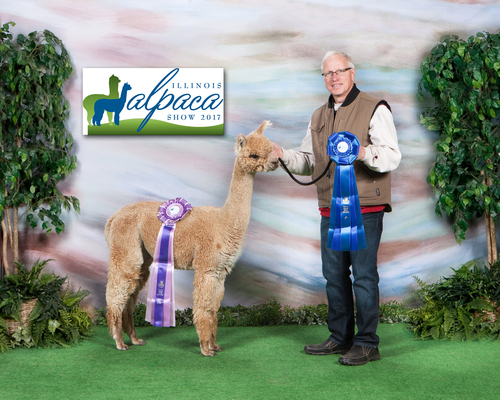 *Update* One of Ransom's first offspring has just taken a blue ribbon and Reserve Color Champion at the 2017 Illinois Alpaca Show in a very tough class of fawn females. The judge said that this little girl is the "entire package - showing extreme fineness, density and brightness with a beautiful frame and head style". "Criative" financing available! Discounts available for multiple purchases and breedings. 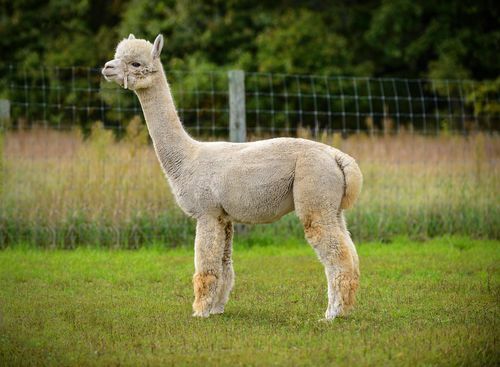 Sells with breeding to Baldassare!